Why leave redecoration for the allocated time that is spring cleaning? Your home could do with a freshen up at any time of the year. Perhaps the walls are starting to look a little dull and are starting to show signs of mucky fingerprints and pawprints. Skirting boards might be chipped or peeling. There might be nothing wrong with your current home design, but you might just enjoy a little change of interior decoration to give a breath of fresh air to your home. Whatever might need to be done, you might aswell get it all out of the way before the Christmas decorations go up and it’s too late for the year. Here are a few innovative ways to spruce up your home, ready to welcome festive family, friends and guests. Paint needs topping up fairly regularly. Even if you stick to the same colour scheme. We touch our walls more than we think and our hands are home to all sorts of dirt and bacteria. If you have kids, you’ll know this for sure. 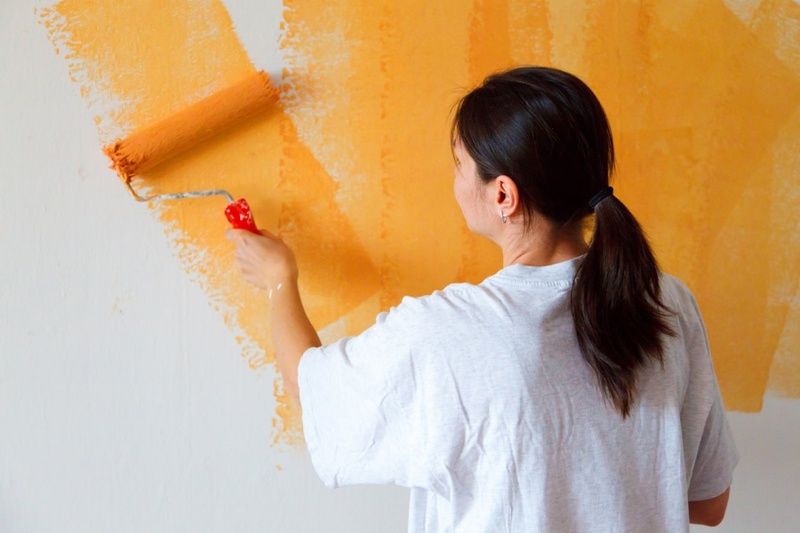 So if you have little ones and pets who are prone to getting dirt and muck just about anywhere, consider paints that you can wipe down easily. Glossy coats are easier to clean than matte. Lighter shades will also show up more flaws than darker shades, so if you have large, airy rooms with plenty of natural light, consider opting for something other than bog standard magnolia. The bathroom is so often a neglected part of the family home. It’s a shame. It’s not like it’s an unused room. Perhaps it’s time to show it a little loving and spruce it up a bit. From complete bathroom remodelling in orange county to simply adding a few new accessories, such as soap dishes or a new toilet brush holder. There are plenty of ways to change your bathroom, both big and small. Consider added extras such as heated towel rails, jacuzzi jets for the bathtub or even underfloor heating. These are all novelties that will add a little extra comfort to your daily routines. You’ll always find your guests in the kitchen at parties. Christmas revolves so heavily around food and drink that throughout the season, your kitchen will be being used more than ever. So make sure that it’s got all of the amenities that you might need. Bottle openers. Nutcrackers. Cork screws. A working oven that can cook your food effectively and evenly. A refrigerator that won’t fail and spoil the turkey last minute. Once your home is all in check and December arrives, it’s time to start decorating. This will put the perfect festive final touches to your home. Of course, there’s the tree. But also deck your halls with boughs of holly and consider putting outdoor fairy lights up around your exterior windows. Just remember to buy good quality products that don’t pose as fire hazards. Always turn any lights off and blow candles out before nodding off in front of Christmas specials on the television.